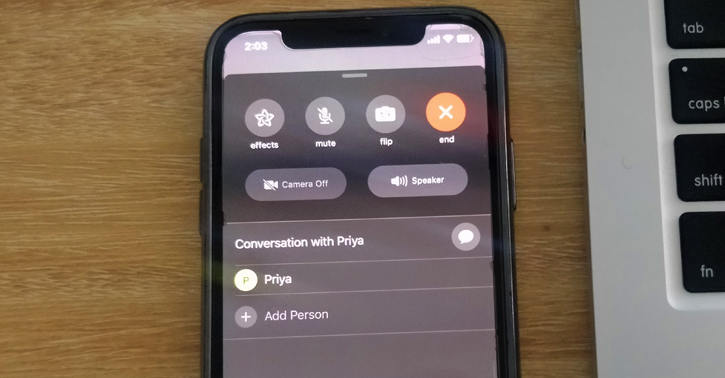 A privacy bug has been identified with iPhones popular video and audio app called FaceTime. The bug can potentially allow someone to see and hear you without even answering the phone!! The bug has been tested on the iPhone X running the latest iOS 12.1.2 and has been confirmed as working. The bug has been replicated by making a FaceTime call to a MacBook running Mac OS Mojave. Heres where you can add your own phone number in the “Add Person” screen. This then starts a group FaceTime call including yourself and the initial person you called. You will then be able to listen to audio even if the called isn’t answered. If the person at the other end presses the volume or presses the power button to silence the call, the camera will then turn on. The next iOS update from Apple will fix this problem. Apple has since temporarily disabled the group calling feature within FaceTime while they work on a solution. Users can disable the feature until there is a fix. On iPhone or iPad, go to settings and scroll to FaceTime and toggle the switch off.